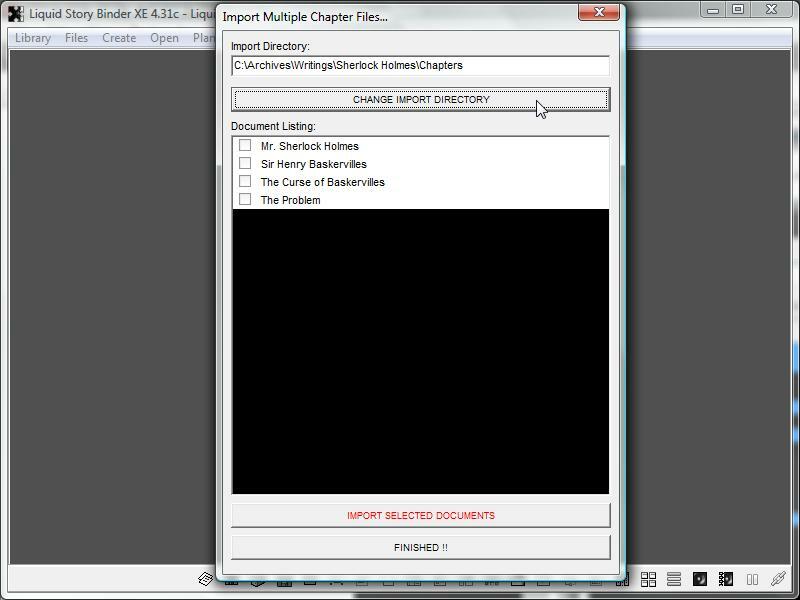 Liquid Story Binder XE allows you to import Chapters from your existing TXT and RTF documents. To import multiple Chapters, choose 'Import Chapters' from the main 'Library' menu. Choose the folder where your images are located by clicking the 'Change Import Directory' button. Select the Chapters you wish to import. 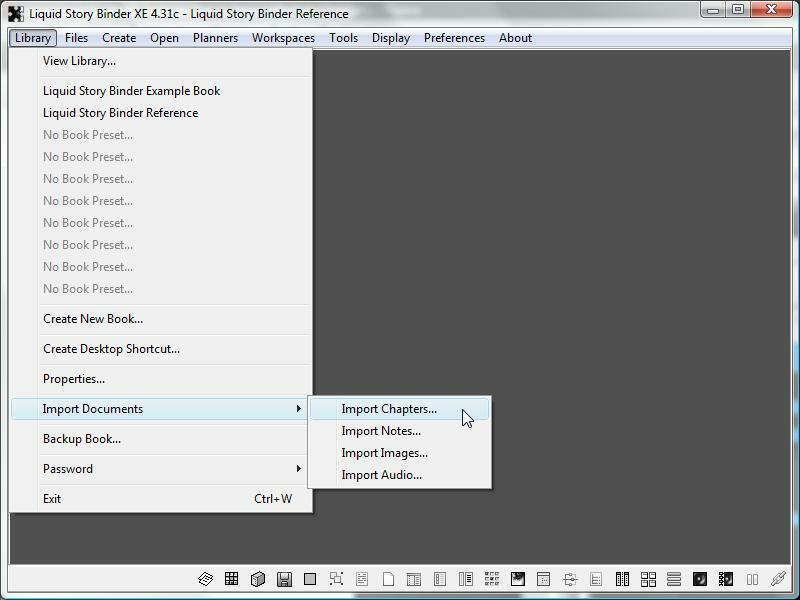 Click the 'Import Selected Documents' button to copy these documents to the current book as new Chapters. Please note that your original documents remain unchanged.